Hi everyone – I’m excited to share my new program with you today – because I know it can help so many of you out there. For instance, are you or a loved one suffering from eczema and are you feeling defeated because it feels like it will ever end? Are you tired of covering up your flare up’s & hiding your real skin? Do you feel like you need help, but you don’t know where to start? ..And I know how tough it is. I understand how stressful it can be if you or a loved one is suffering from this. I’ve struggled with really severe eczema for most of my life, and I want to help you & give you my personalized support on your journey. If you’ve felt alone in this, or you need someone to understand you and teach you how to deal with eczema, I am here to help you. What is the Conqueror Eczema Academy? 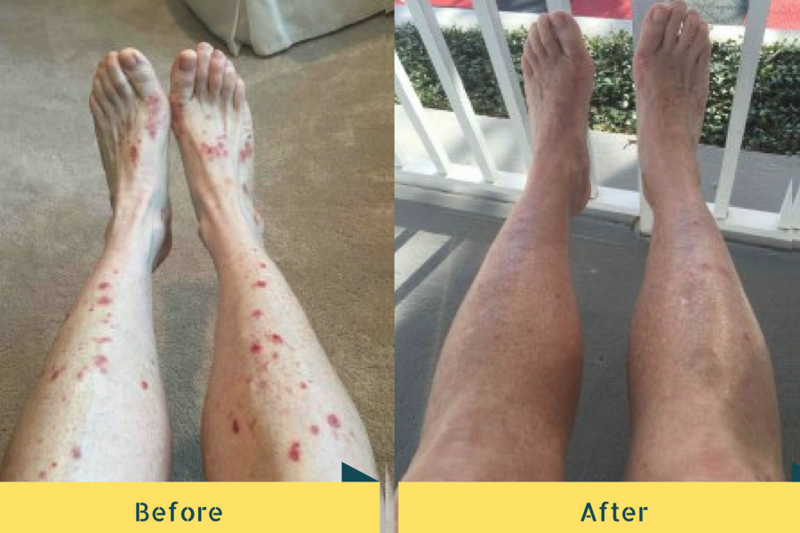 In my new in-depth program, I’ll help equip you with the knowledge you need to help you discover your root cause, conquer eczema, and give you hope that healing is possible. I’m also going to show you strategies to eat right for clear skin, make-up tips, customized eczema-friendly work outs, the right supplements to take, and what to use on your skin, in order to achieve rapid results. Myself (and 5 other practitioners) will also show you why our solutions work, how your gut and digestive system create eczema, why we’re using the strategies we’re using, & how you can find long-lasting healing. Most importantly – you’ll learn how to fall in love with yourself, feel confident & secure, because your self worth will no longer depend on what you look like. 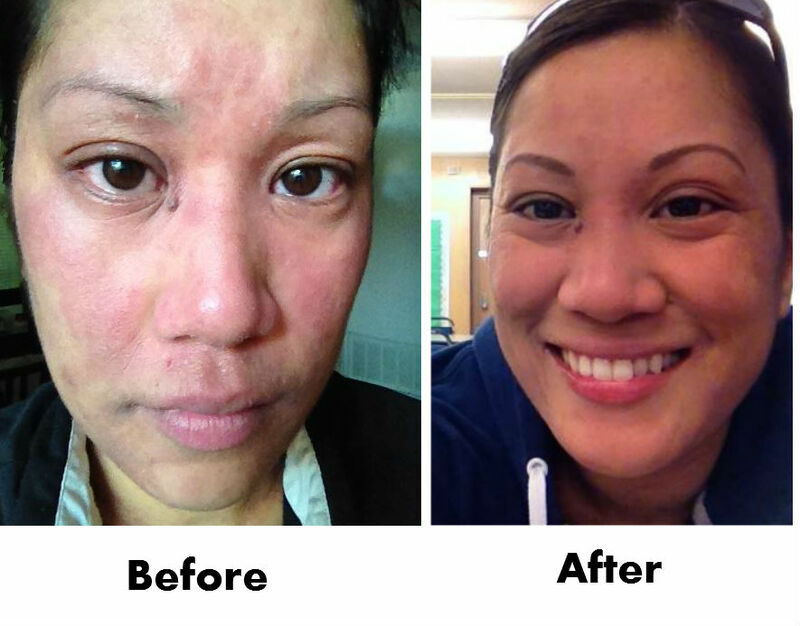 There are practitioners & programs out there that address the physical side of getting rid of eczema, but this this one goes in depth to teach you how to heal your skin from a well-rounded approach, from the inside out. You’ll be guided & taught by some of the most knowledgable practitioners & experts in eczema, including a naturopath, nutritionists, a make-up artist, teachers, and even a personal trainer. We want to help you overcome this. The clear soft skin on every inch of your face and body. The confidence. The ability to wear whatever you want, whenever you want – without having to hide or be afraid of what others might think of you. Not feeling disgusted at yourself – but loving every inch of your skin and body. Not having to wake up in pain or in flare up’s. Best of all, feeling empowered because your eczema is gone from your life for good. And not having to rely on anyone else for beautiful skin. You can have the skin of your dreams, naturally, and 100% on your terms. And it starts here. People are often confused about where they can start healing their skin. The academy removes the confusion because you’ll be taught a well-rounded approach to healing. For instance, when you go see a dermatologist for your eczema, they usually just diagnose you and give you treatment based on how your skin looks from the outside (i.e. a very topical approach to healing your skin). However, the we won’t just look at your skin topically. Instead, we’ll teach you how to heal your skin from the inside out (everything from in-depth internal solutions, topical solutions, supplements, diet, mindset, eczema-friendly exercises – and much more!). I’ve been working on putting this together for close to 2 years, because I want to see you heal. I’ve helped countless other people get better, and I want to give you hope that you can too! Plus (for the ladies), our makeup artist, Carley Simandl, will teach you eczema-friendly makeup tips & tricks. You’ll come out of the program with more knowledge than ever (and since knowledge is power, the more you fill yourself with knowledge on healing eczema, the quicker you will understand what your body needs in order to heal). Want to learn more about how you can be a part of this? Thought I’d write to you about why I want to win the giveaway. I’ve had eczema my whole life (now 30), and have been struggling on and off with this disease. I’ve been on prednisone pills at one point 10 years ago, and that inspired me to turn to diet to help take control of this painful issue. This past year has been especially rough, with two trips to the hospital for secondary staph infections and for full body hives that turned into eczema. I’ve spent thousands at this point on naturopath appointments, IGE food sensitivity bloodwork, and this has even inspired me to pursue my RHN designation in the hope that it would reveal some insights. This is a tough issue that tends to make you feel alone, and western medicine has not been helpful. It would be amazing to finally conquer my eczema! Hi Laura, sorry to hear you’ve been through so much! I understand how it feels to try so much and feel so alone in the process. Glad you’re going to be pursuing your RHN though! Which school will you be attending for it? 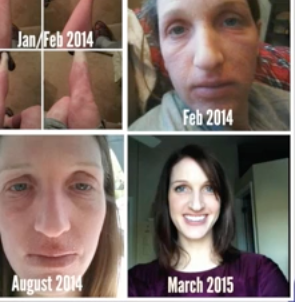 I think its awesome that you have put in all this effort to support your fellow eczema suffers. I’ve tried a lot over the years and always love to learn about new natural ways to help control my eczema. Looking forward to learning more and potentially winning your giveaway. 🙂 It would be nice to connect with a community of people that understand the day to day hardships of eczema. I wish you all the best. I’m from India, I’m 17 and always had eczema…..I really follow everything you suggest and it does help a lot. I’ve been able to give up steroids and manage. I still have eczema but it’s much much better. I want get rid of it completely. I’m writting you because I really really want and will do everything to be a healthy normal person, since I was 13 I had eczema, which not at 26 years old I’m really thankful, because if it wasn’t for this, I wouldn’t be the person that I am now, this experience made me grow as a person and also I’m thankful for everything I have, also I realized that If you want something you have to fight and work hard for it. Just to let you know why I would love to win the contest for the eczema academy… I’m 30 and a grad student (in seminary, hoping to pursue a phD in the future) and I’ve had eczema all my life. My senior year of college, though, it started affecting my fingers & has not stopped since (so almost 10 years). I get staph infection sometimes and have had to use a lot of bandaids and have had serious pain and ridiculous itching (as I know that you’re aware). The dermatologists have given me many steroid creams and there’s one I can use but I use it sparingly. This past year I had to get a pyogenic granuloma taken off my left index finger on the tip which is now smaller and has nerve damage. Your blog has helped me to re-think my diet – it’s been tough but I’ve done a total sugar/yeast elimination diet and hope to work towards 100% changing my diet and figuring out what affects my eczema. I know this program will be an incredible help to so many people, and I am so grateful for you and your blog!!! I keep learning more and more every day!!! Really hope I can win this giveaway and learn more! Thankyou so much for all of your effort and hard work.I am very inspired.I have been looking for holistic and natural ways to cure my 4 year old daughter who has eczema and has had poor digestion from when she was born.It has been a very tough journey.I am tired of seeing her go through so much.You reached out to us just when we really needed it.It would be so great to win this key to her health.